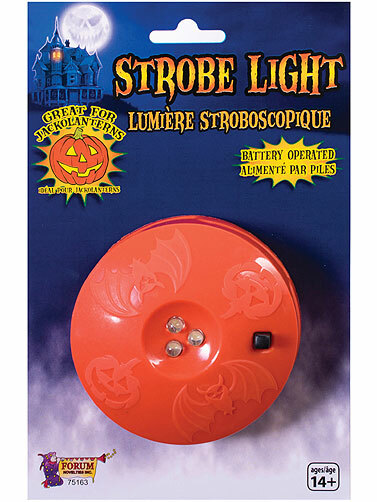 Pumpkin LED Strobe Light will add spooky strobe lighting effects to your carved Halloween pumpkin. 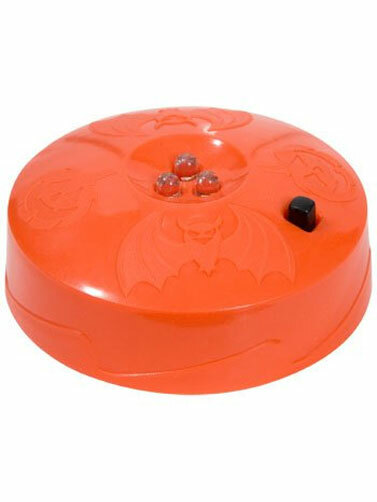 Hard plastic casing has 3 rapidly flashing LED lights that provide the real strobe effect. Great alternative to candles. Small size could be used in a number of ways in your Halloween displays. On/Off switch on top. Uses 2 "AAA" batteries, not included.